In bright and breezy conditions a party of 10 left Cutthroat bridge and very soon arrived at Whinstone Lee Tor. 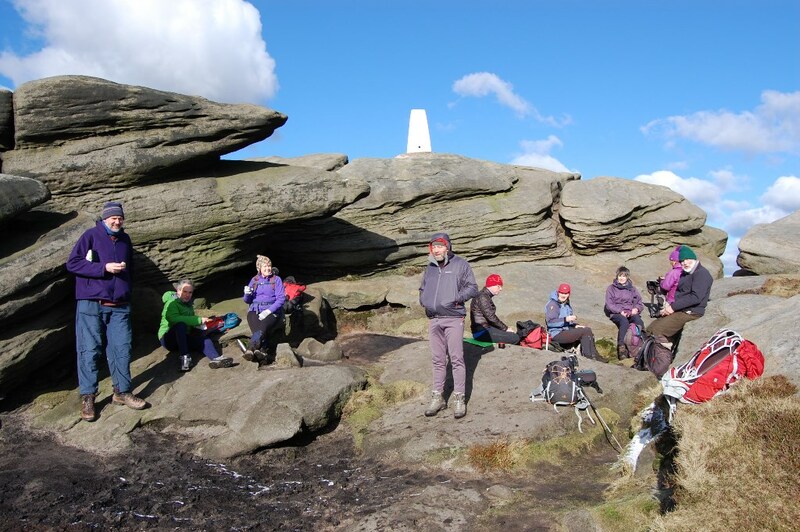 Cameras appeared as the sun came out and we made our way along Derwent Edge to Back Tor for a short break and group photo. Views were extensive in all directions. Continuing along the ridge for about 1k we then followed a faint path (yes there was) north westerly into Abbey Brook and joined the main path high above the river. 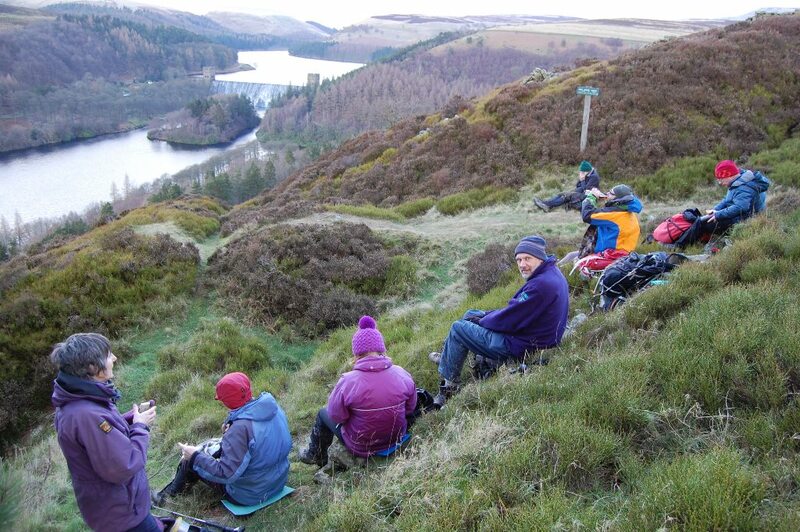 A short climb up Abbey Bank brought us to our lunch stop, with superb views over Howden Reservoir with water spilling over the dam wall. A high level path then took us to Wellhead where we were joined by Frank for the final climb up Grindle Clough, and back onto the Edge before our descent to the cars.